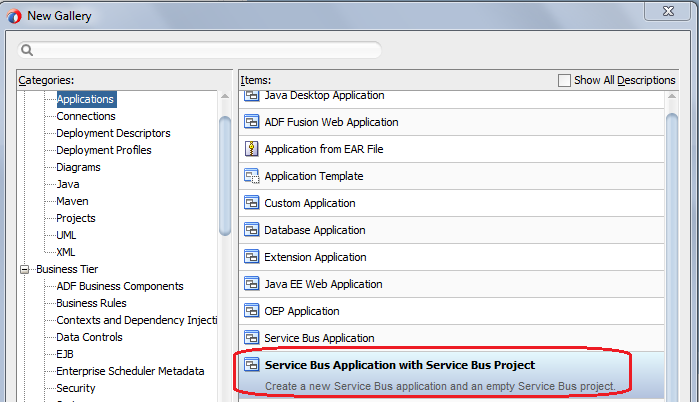 In a major Oracle SOA 12c release, Oracle made significant changes for Oracle Service Bus. 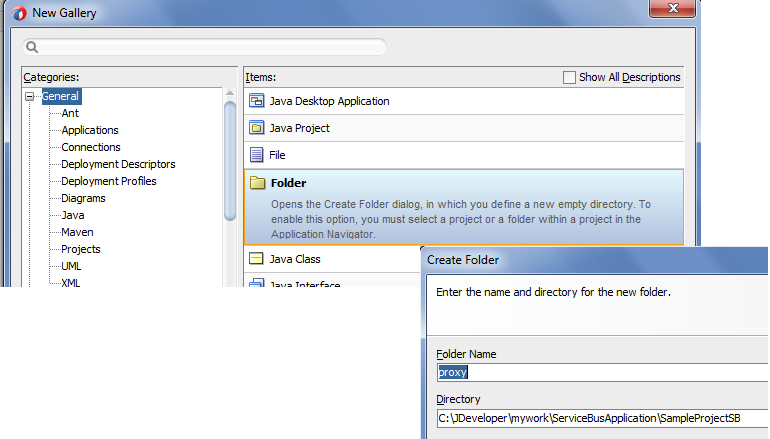 Now we can use Jdeveloper to use build OSB applications, no need to use separate IDE tool (Eclipse) any more. OSB web based console is totally redesigned, all monitoring and run time configuration features are now provided in EM console itself. Message flows which were part of OSB proxy service now added as separate resources in form of Split-join and Pipeline etc. 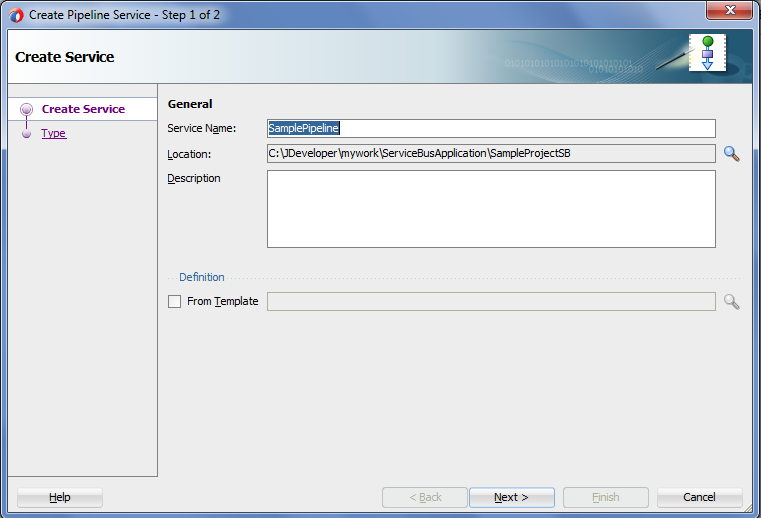 In this post, I will walk you through the steps to create sample OSB application in Jdeveloper and test it using integrated server. Let’s get started with OSB application creation. Go to File à New à Application àService Bus Application. Name your application and OSB project. Add required folder structure as per your naming standards. To add a new folder right click on required folder or file under which you want to add the folder then go to New à From Gallery. Choose Folder from Items list and rename the folder. Repeat above step for all other folders. 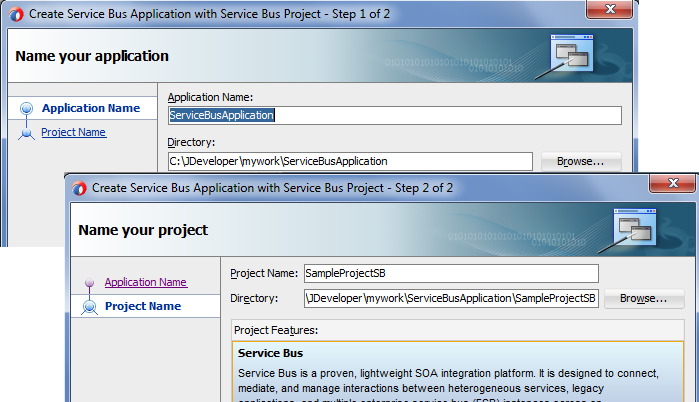 Now we add business service to the project which will invoke the HelloWorld SOA Composite which we created in previous post, to add the business service drag “HTTP” adapter to composite. Name your business service and make sure transport in HTTP. Click on Next. 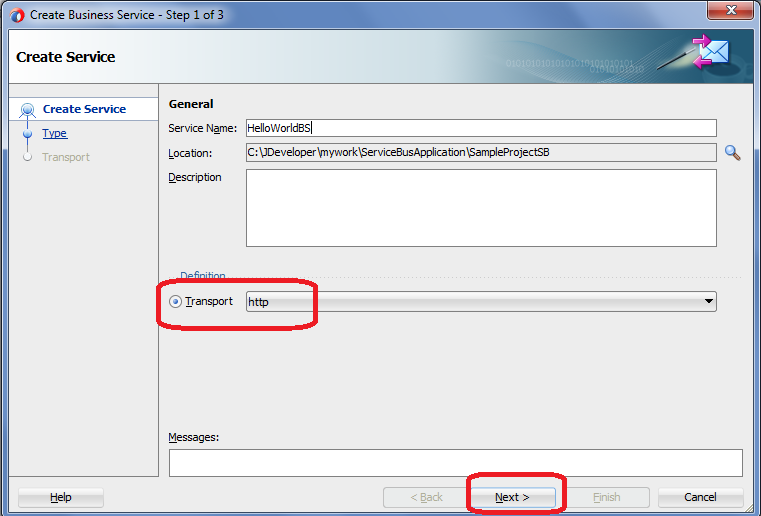 Choose WSDL option and browse HelloWorld Composite WSDL file. 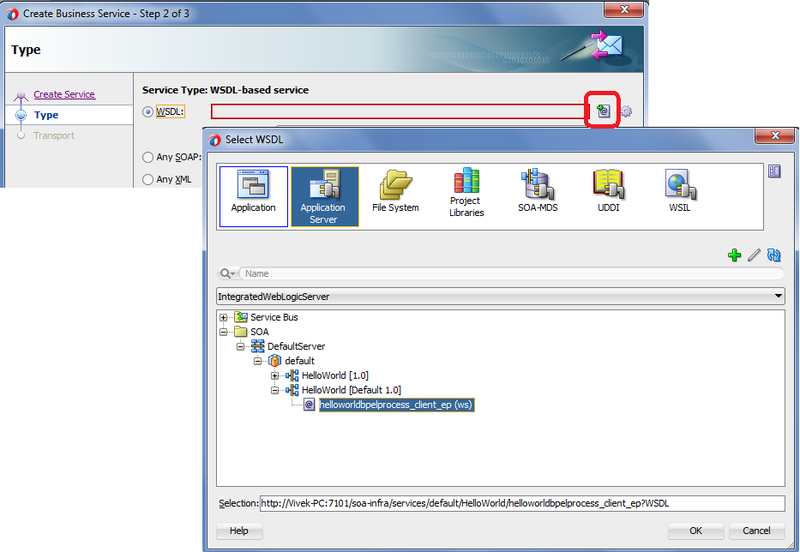 Wizard asked you to add required WSDL and XSD file of HelloWorld application to your OSB project. Check all and click on finish. 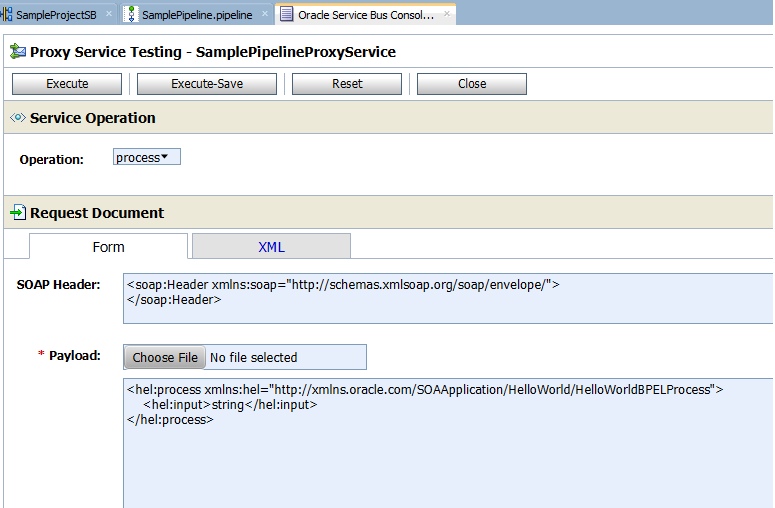 Now we add the proxy service and Pipeline to the composite. Pipeline contains all the actions which need to be performed before invoking business service. Name you pipeline and click on next. 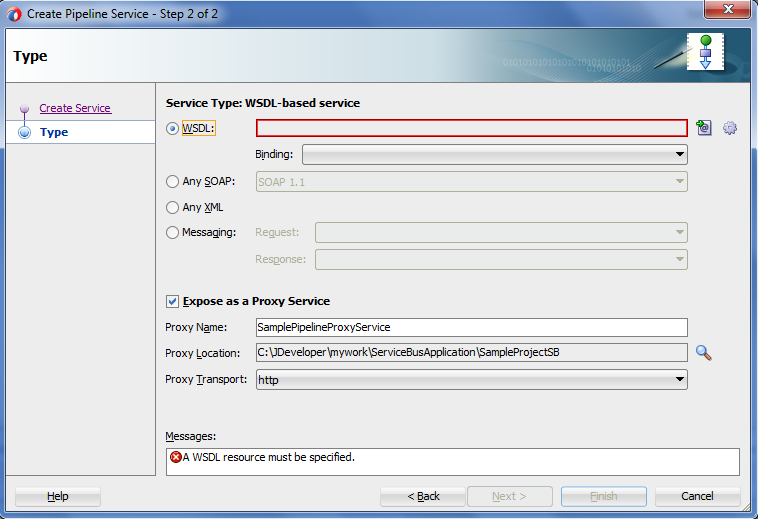 You see Expose as a proxy option in the pipeline; this option will configure proxy service for you based on pipeline message type. 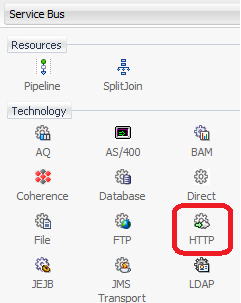 We use same HelloWorld WSDL file for the pipeline and proxy. 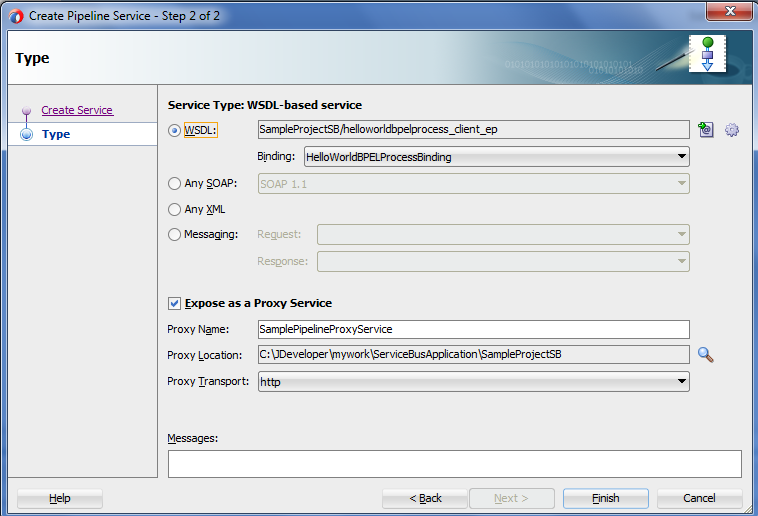 Check the WSDL option and browse the HelloWorld WSDL file. 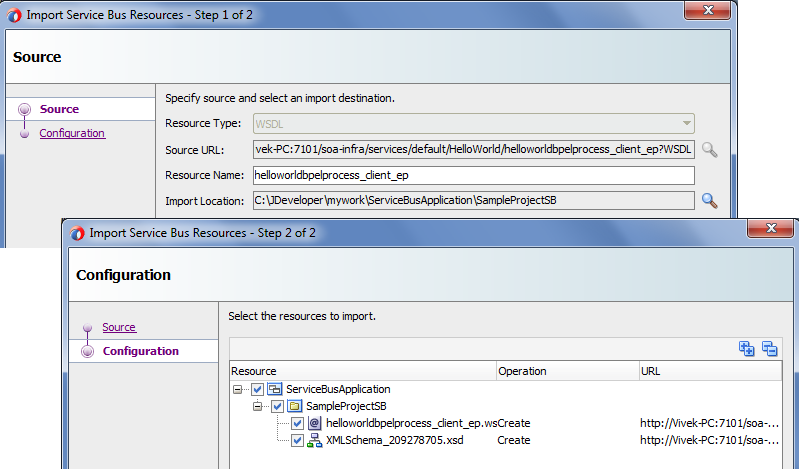 Once you add the HelloWorld WSDL file, your pipeline window should look like below. Your flow looks like below. Now wire pipeline to business service. With the above step we are done with build part. Now we need to test on integrated server. To test it right click on proxy service and click on Run. This opens a OSB console for you. 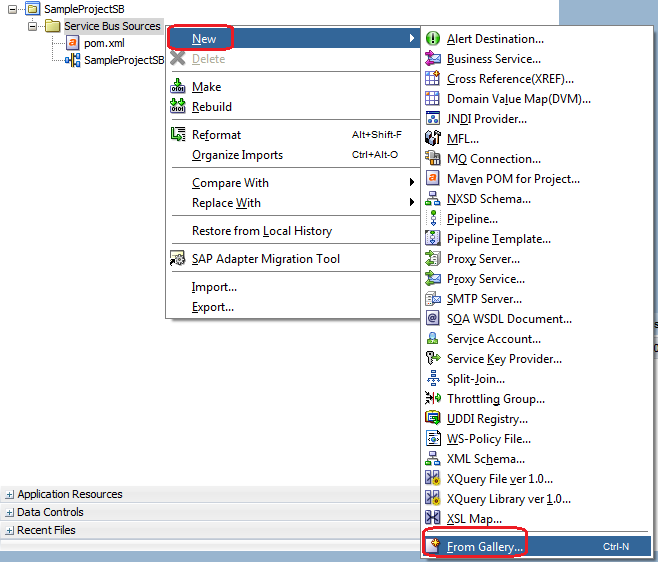 Provide request message and click on Execute. You should see response in same console. You can also check the flow in EM console. Hi Vivek, How do we input the request in 12c. 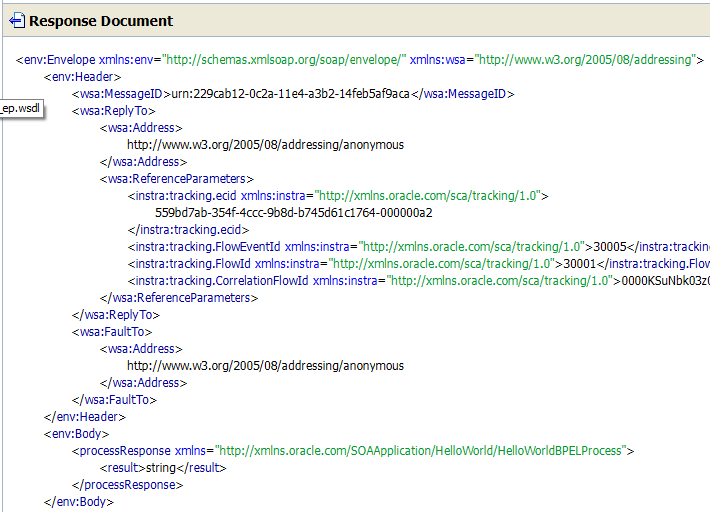 I probably have different version of 12c which is not showing header fields but only payload. 1. do we give both header and payload. 2. please specify a sample input to give to test the service.